Telkomsel and Huawei have agreed to cooperate in an effort to develop and upgrade Indonesia’s digital infrastructure to achieve the country’s Digital Indonesia 2025 vision. The agreement between both parties will see them cooperate on future evolution, technology innovation via Joint Innovation Centre 5.0, digital services exploration and talent development to position Telkomsel well for supporting the building of Digital Indonesia. “As the leading mobile operator in Indonesia, Telkomsel has the responsibility to develop the ICT infrastructure to help Indonesia achieve Digital Indonesia 2025 vision,” said Ririek Adriansyah, president of Telkomsel. “We are happy to cooperate with Huawei to advance ICT development in support of Digital Indonesia." Telkomsel is Indonesia’s largest mobile operator with more than 168 million subscribers, and 184,000 base transceiver stations situated across the archipelago, serving remote areas, outer islands and border areas. 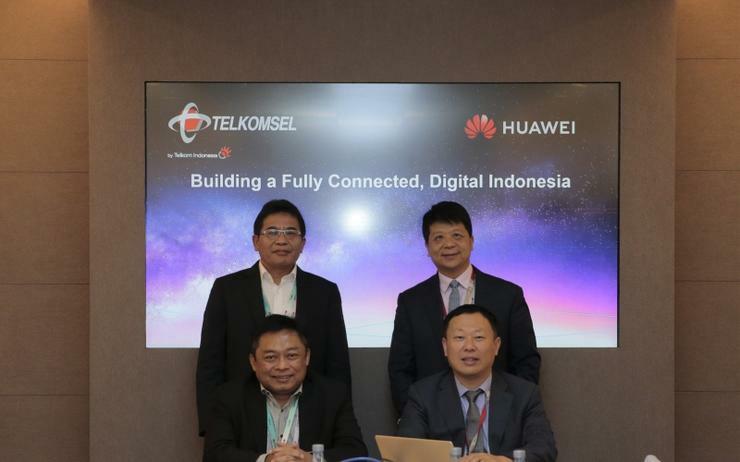 “We are very delighted to cooperate with Telkomsel, Indonesia's leading mobile operator, to build a Digital Indonesia together,” added Jeffery Liu, president of South Pacific at Huawei. "A good and reliable ICT infrastructure is the foundation of any digital economy. “With Telkomsel's market leading network coverage and network experience in Indonesia and Huawei's technological innovation, I am very confident we can develop a robust ICT infrastructure together to achieve Digital Indonesia 2025 vision." Huawei is currently embroiled in controversy surrounding its telecommunications equipment due to spying acquisitions by the US in its political wranglings with China. However, the US has yet to produce any evidence to back up its claims, which Huawei denies. And while several western countries are cutting back their use of Huawei’s equipment, Indonesia is taking a more pragmatic approach, with Indonesia’s communications minister Rudiantara stating recently that his country cannot be paranoid about curbing the firm’s wireless technology over security concerns due to the country’s telcos being too dependent on foreign equipment.